Naturally, any time there is a large crowd and the masses gather, they’ll no doubt be a large clean-up afterwards. To encourage clean-up in the streets of London for the 2012 Olympics, a podium was positioned around a trash bin. Applause and cheering sounds are heard through a speaker when you step on the podium and reach on top of the bin. 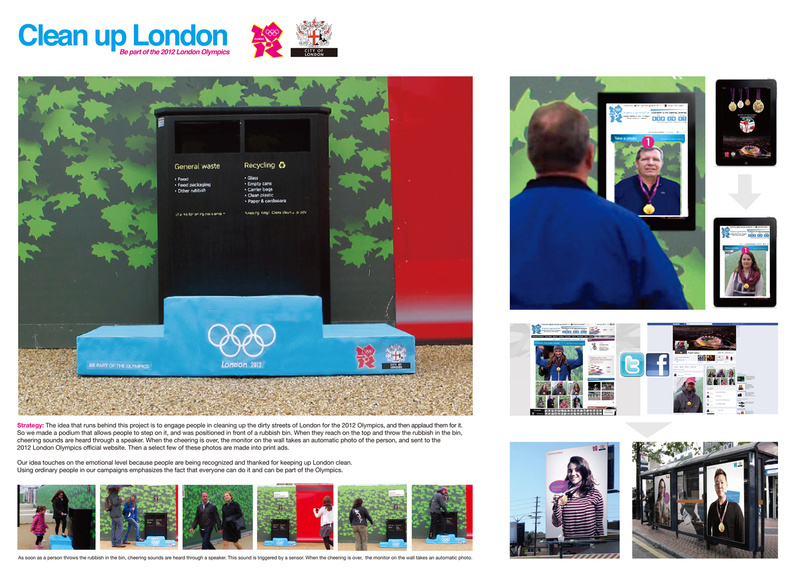 As the cheers stop the monitor takes a photo and sends it to the 2012 London Olympics official site. This engages people to help and emphasizes that everyone can make a difference in keeping the city clean.